Tashkent was the fourth most important city of the USSR and many great musicians, poets and artists lived there. Some of their former homes have been converted into museums, dedicated to the life of the artist. One example is the house museum of the legendary dancer Tamara Khanum, who, in her day, was bigger than Lady Gaga or Madonna today. 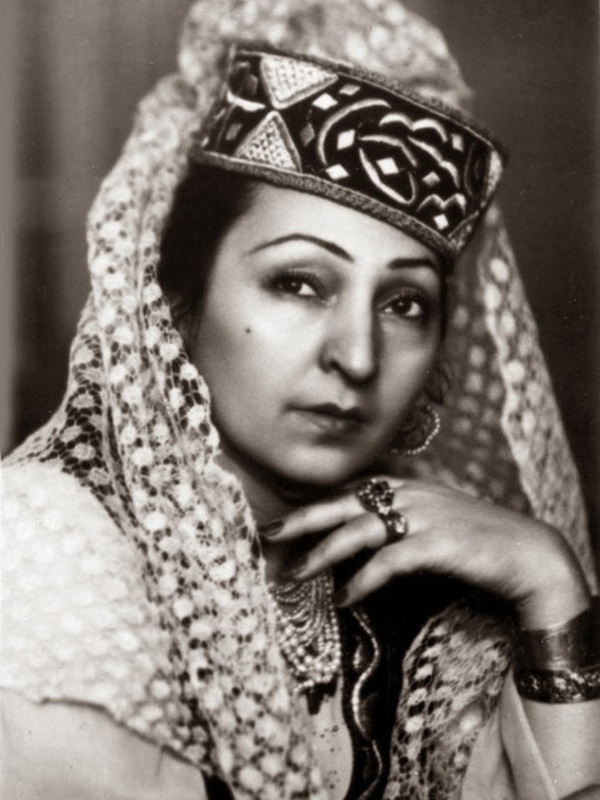 She was the first female Uzbek dancer to appear publicly, unveiled. A visit to this house museum, to see her collection of restored and ravishing costumes, is part of an Uzbek Journeys tour. If you have extra time in Tashkent, there are others which are well worth visiting, depending on your interests. Most of the signage is in Russian, so do go with a guide who can make the museum come alive. Also, phone in advance to check the opening times. 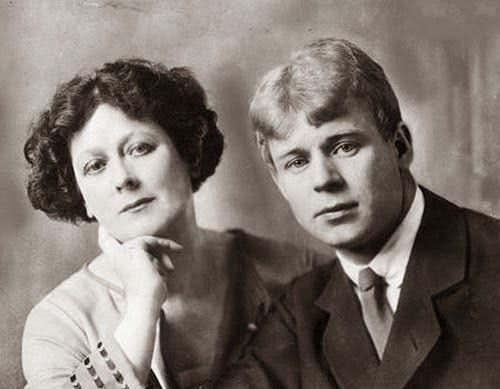 Known in the West for his disastrous 12-month marriage to Isadora Duncan - he spoke no English and she only a dozen Russian words - Yesenin was a Russian lyric poet, whose work was banned by the Kremlin. Nevertheless, his poetry was adored by ordinary people and in 1966 his works were republished. Today Yesenin's poems are taught to Russian school children; many have been set to music and recorded as popular songs. 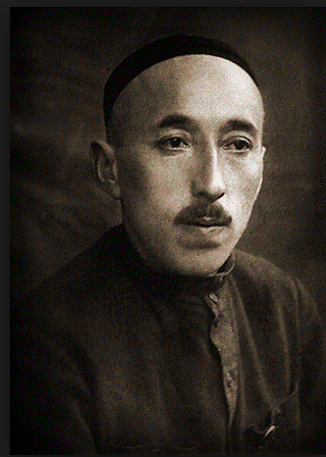 He travelled to Turkestan in 1921 and stayed in Tashkent. He enjoyed spending time in chaikhanas (tea houses) and held poetry recitals in the homes of friends. The museum's collection holds over 3,000 exhibits, including manuscripts, photographs and rare documents donated by Yesenin's children and relatives. The museum also provides a peek into a Russian-style interior of a 1920s Tashkent home. Occasional poetry readings are held there. It is usually open Monday - Saturday from 0900 - 1700. Call ahead on +998 71 237 11 79. Regarded as one of the founders of modern Uzbek poetry, Gafur Gulyam lived in this house from 1944 until his death in 1966. He is best remembered for his stories Shum Bola (The Mischievous Boy) and Yodgor. Shum Bola was adapted for the screen in 1977 and, if you are visiting Khiva, it is regularly on the program of Khiva's Open Air Cinema with English subtitles. 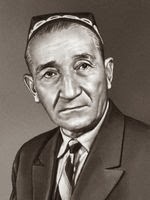 Gafur Gulyam was also a famous translator, introducing Uzbeks to the works of Shakespeare, Pushkin, Mayakovsky and Beaumarchais in Uzbek. He received many awards in Soviet times and the ongoing respect of his compatriots is demonstrated by a metro station named after him as well as a beautiful park in Tashkent. His daughter, Olmos Gafurovna, runs the museum, located near the Mukimi Musical Theatre at 1 Arpapaya St; telephone: +998 71 245 4394. Usually open from 1000 - 1700, except Sunday and Monday. 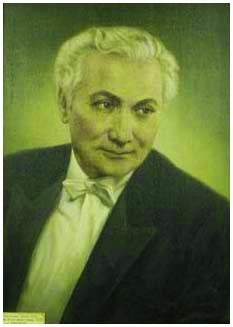 Yunus Radjabi was a prominent composer and musician, who wrote extensively on Uzbek folk music and traditional instruments. He revived gazels (poems) written by classical authors of Oriental poetry such as Alisher Navoi, Babur, Fizuli and others. In 1959, to preserve Uzbekistan's national musical heritage, he organized an ensemble of maqamists (performers of shashmaqams) at the Radio of Uzbekistan, and then recorded this ensemble playing all the pieces from the entire collected cycle of printed music. This recording was also the catalyst for further development of this musical genre, which had been suppressed in early Soviet times. Shashmaqam was named a UNESCO Masterpiece of the Oral and Intangible Heritage of Humanity in 2003. It is a modal suite that brings together lyrical and instrumental songs, poetry and dance. Its origins trace back to Bukhara with profound contributions from that city's historic Jewish population, as well as Sufi Islam and Persian classical music. Yunus Radjabi's son, Khasan, and grandson, Aziz, continue contributing to this musical tradition and simultaneously develop new, lively forms of music. As well as displays of instruments and manuscripts, you may listen to recordings by Yunus Radjabi and sometimes concerts are held at the museum. The museum opened in 1997 and is managed by Radjabi's family. It is open daily from 1000 - 1700 except Sunday and Monday. It is at 20 M. Radjabi Street, not far from Kosmonaut metro station. Call in advance: +998 71 2563 401. There is a beautiful metro station named after Yunus Radjabi on the green line. To listen to shashmaqam music, visit this Smithsonian Institute YouTube clip. 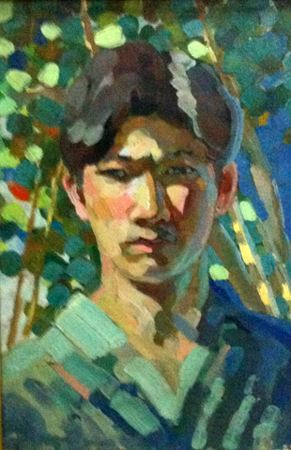 Although the best works of painter Ural Tansykbaev are in the Savitsky collection in Nukus and Tashkent's Fine Arts Museum, some of his Fauvist and Expressionist studies can be seen at this charming house museum in suburban Tashkent. The garden is lovely and even Tansykbaev's tapchan (outdoor raised table for lounging and sipping tea) is still there. After flirting with European art movements in the 1920s and 30s, Tansykbaev became a painter of monumental landscapes after Stalin's 1932 declaration supporting socialist realism in all forms of art. He was recognised as a USSR People's Artist and won many medals in Soviet and European art shows. His last painting remains on the easel, the kithchen and living room are as he left them. There are boxes of memorablia you can carefully inspect. The home of Abdulla Kahhar, Uzbek essayist and dramatist, satirist, master of the short story and the authour of the famous comedy Silky Suzani is found at 26 Navrus Street, Tashkent. Telephone: +998 71 256 0804. Mukhtar Ashrafi's house museum is devoted to the famous Uzbek composer and conductor, one of the founders of the national opera, who dedicated his entire life to the development of Uzbekistan's musical culture. The address is 15/25, Centre 1; telephone +998 71 233 2384. Occassional concerts are performed there. The family of writer Sergey Borodin family has preserved the writer's rooms, library and sitting room exactly as they were on his death in 1974. One of his most famous works was Stars over Samarkand. This museum is at 18 Nashkar-Begi St and the telephone is +998 71 233 093.